Hurlbert mentioned “boycott” about two dozen times in his book, which is somewhat remarkable considering the word had not existed eight years earlier. It resulted from the 1880 social and commercial ostracism of County Mayo land agent Captain Charles Boycott in a key early protest of the decade’s agrarian agitation in Ireland. In his discussion about boycotting in Miltown Malbay (See previous post), Hurlbert referenced a passage from the 1852 book Fortnight in Ireland, by Sir Francis Head. The book was based on Head’s one-week visit to the island, his first, near the end of the Great Famine. Any Roman Catholic who listens to a Protestant clergyman, or to a Scripture reader, is denounced as a marked man, and people are forbidden to have any dealings with him in trade or business, to sell him food or buy it from him. The practice was obviously not invented by Irish farmers in 1880. For centuries, in all parts of the world, it had been employed by active combinations [social groups] for a variety of purposes. In rural Ireland itself the practice of refusing to bid for involuntarily vacated farms or for distrained livestock had a long history, as did the ostracism of landgrabbers. 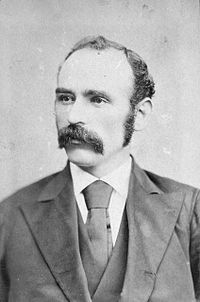 Even during the Land War, the tactic was used well before the Boycott affair; and it had been advocated on numerous occasions before [Charles Stewart] Parnell recommended it in September 1880. When a man takes a farm from which another has been evicted, you must shun him on the roadside when you meet him – you must shun him in the streets of the town – you must shun him in the shop – you must shun him on the fair green and in the market place, and even in the place of worship, by leaving him alone, by putting him in moral Coventry, by isolating him from the rest of the country, as if he were the leper of old – you must show him your detestation of the crime he committed. I maintain that a landgrabber is a thief, when he covets and steals his unfortunate neighbor’s holdings, and I want to say once more, what I repeated on a hundred platforms, that the landgrabber incurred malediction in the days when the Holy Bible was written: ‘Cursed be he who removes his neighbor’s landmark.’ He is a cowardly, slimy renegade, a man who should be look upon as a social leper, contact with whom should be considered a stigma and a reproach. As noted in an earlier post, Davitt complained in his diary that the Freeman’s Journal (and other papers) did not report this portion of his speech. It was, however, quoted in Parliament the week that Hurlbert was in Clare. This included the murder of boycotted Kerry farmer James Fitzmaurice, two days after Davitt’s Rathkeale speech. See my earlier post. Period illustration of the January 1888 murder of boycotted Kerry farmer James Fitzmaurice in front of his daughter Nora. She was not physically harmed. There was unquestionably boycotting in the district, and as [local Land League] president … I had to take note of it. The people, goaded by desperation by the terrible distress of  ’78, ’79 and ’80, were up in arms against the heartlessness and the cruelties of the Landlord system, which had paved the way to it. … Against such an obstacle as this neither an appeal to justice nor argument of was of any value whatsoever, so boycotting was resorted to. Desperate diseases require desperate remedies … The people fully appreciated my difficulty [as a priest] acting as president with them, and never pressed me to accept, or put from the chair, any boycotting resolution. I’ll return to this issue in a future post about another word that came out of the late 19th century agrarian agitation in Ireland: moonlighting. NOTES: Hurlbert referenced Fortnight on page 172 of Ireland Under Coercion: The Diary of an American. Quote about “dual government,” etc., on page 219. Quote from Head on page 155 of Fortnight. Quote from Clark on page 311 of Social Origins. Quote from Father White on pages 17-18 of Hurlbert Unmasked. 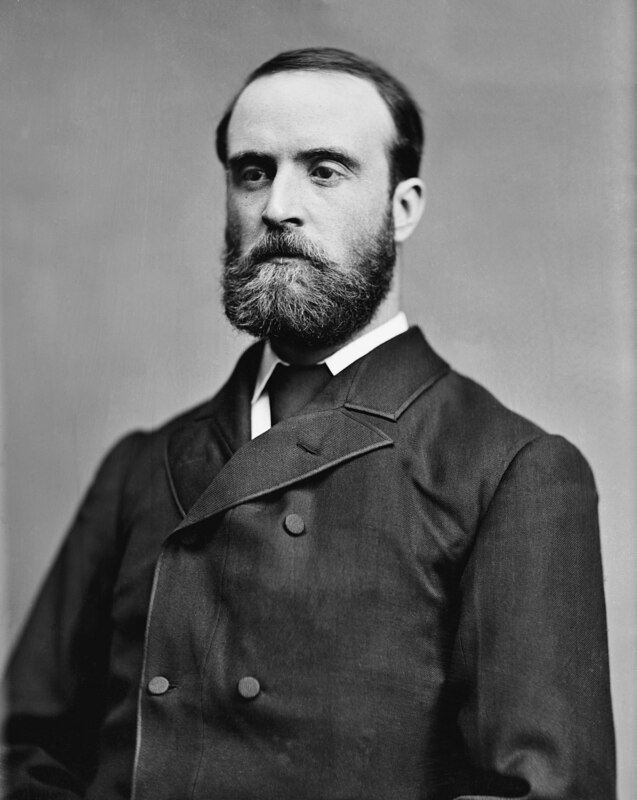 This entry was posted in Business & Environment, History, IUC, Revisted, Religion and tagged Captain Charles Boycott, Charles Stewart Parnell, county clare, County Kerry, County Mayo, Father Patrick White, Michael Davitt on March 8, 2018 by admin. The Virgin Mary recently appeared–believers say–in the sun and clouds above Knock, the County Mayo village where she first presented herself to the faithful in 1879. Unlike that 19th century debut, viewed by 15 witnesses on a rainy evening, the latest vision at Ireland’s national Marian shrine is documented in video and photographs, quickly and easily disseminated around the world. Among the handful of secular news outlets that covered Our Lady’s alleged appearance, the tone was more skeptical, even cheeky. “Clouded vision,” said the headline in the U.K.’s Daily Mail. This wasn’t the first digital-age sighting of the Virgin at Knock. Scores of videos claiming to show Mary’s image are posted online, in addition to sympathetic histories and pilgrimage travelogues, including a trailer for the 2016 independent film Strange Occurrences in a Small Irish Village. The pilgrimage business is good for the West of Ireland. Knock airport’s 9.1 percent first quarter growth–more than 134,000 total passengers–was the highest year-over-year gain among five airports in the Republic, The Irish Times reported. Monsignor James Horan, the late priest who built the airport in the 1980s on the “foggy, boggy site” near the shrine, must be smiling from about the same altitude as the latest Marian appearance. The 1879 apparition at Knock was a crowded affair, with the Virgin Mary joined by Saint Joseph, Saint John the Evangelist, the Lamb of God (representing Jesus Christ) and adoring angels appearing on the gabled wall of the local church. This didn’t get much immediate press attention. Word of the vision and miraculous cures spread quickly among believers, however, and published accounts began to appear by a year later. 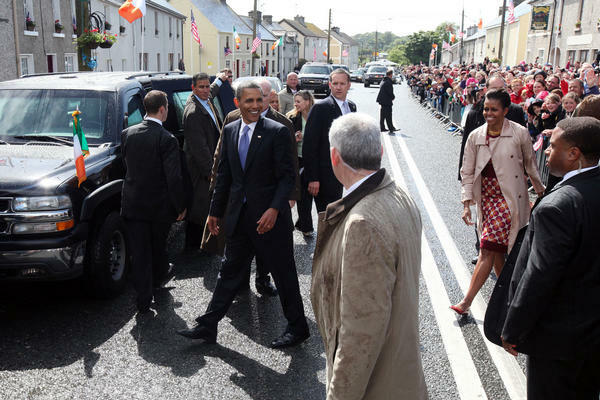 The Irish Examiner reported crowds of up to 20,000 were trekking to the village. “A deeper and more touching outpouring of sincere faith and religious fervour it would be impossible even to conceive than what I witnessed at Knock,” an unnamed “pilgrim” wrote in a 25 September 1880 letter to the newspaper. The same year, The Nation carried advertisements for “The Illustrated Record of the Apparitions at Knock,” a free booklet that included witness depositions, a list of miraculous cures and six images. A 1 3/4-inch diameter medal also was available for sixpence, plus postage. Since I first learnt of the centenary of this Shrine, which is being celebrated this year, I have felt a strong desire to come here, the desire to make yet another pilgrimage to the Shrine of the Mother of Christ, the Mother of the Church, the Queen of Peace. Do not be surprised at this desire of mine. It has been my custom to make pilgrimages to the shrines of our Lady, starting with my earliest youth and in my own country. John Curry was the last of the 1879 witnesses to die. In 1943, at the age of 68, he was buried without a headstone in a communal cemetery plot owned by the Little Sisters of the Poor on Long Island, New York. Recently, he was re-interred at the Basilica of St. Patrick’s Old Cathedral in Manhattan. I visited Knock not long after the 2001 terror attacks in America, during a month-long journalism fellowship that took me to both sides of the Irish border. I arrived at the shrine on a rainy Monday afternoon, “the busloads of believers nowhere in sight,” I wrote in my Oct. 1 journal entry. As a believer, I said the requisite prayers, but there were no apparitions that evening. In fact, my “sincere faith and religious fervour” was exhausted from having hiked to the summit of Croagh Patrick the day before. No visions up there, either, but a fantastic view and fulfilling experience. I slept well that night at the Belmont Hotel in Knock and awoke to a bright day. I bypassed a second visit to the shrine and pressed on to my next appointments. I am glad that I made the pilgrimage, however, and followed in the footsteps of John Curry and John Paul, and millions of other believers; past, present and future; with or without digital recording equipment; with or without seeing a vision of the Virgin Mary. Undated photo of the original church at Knock where the apparition appeared in 1879. This entry was posted in Arts & Culture, History, Religion and tagged Catholic, County Mayo, Knock on June 16, 2017 by admin. Enda Kenny will resign as Fine Gael party leader and as Ireland’s taoiseach effective 2 June. He has served as the Republic’s prime minister since 2011. He is the longest serving taoiseach of his party, which has more often been in minority opposition to Fianna Fáil. The Mayo-born Kenny, 66, signaled his intentions months ago, but the 17 May announcement caught Irish political observers off guard. His leadership has suffered from bumbling a plan to institute national water charges, and the handling of a long-running police misconduct scandal. 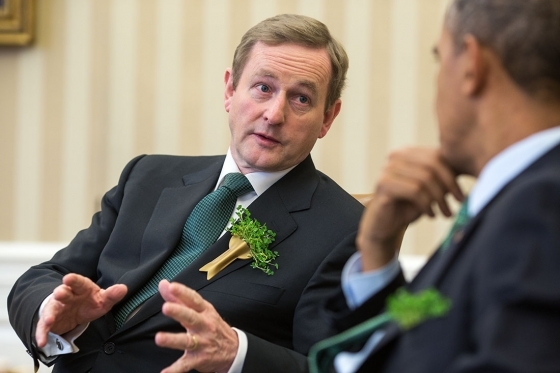 Enda Kenny and former U.S. President Barack Obama during a St. Patrick’s Day visit to the White House. His crowning achievement was to lead the country out of the financial crisis that brought it to the brink in 2010, and preside over a government that transformed it into the fastest growing EU economy for the past three years. Kenny’s mixture of political skill, sheer stubbornness and incredible stamina enabled him to achieve what many deemed impossible, but he never managed to win the level of public popularity achieved by some of his less successful predecessors. His successor will have to deal with Britain’s coming withdrawal from the European Union, which could mean the return of a hard border with Northern Ireland. At the same time, the Republic’s new leader will have to navigate growing calls for the island’s political reunification. Other big issues include a potential 2018 referendum on whether to repeal Ireland’s constitutional ban on abortion, and whether to allow the country’s diaspora to vote in national elections. Fianna Fáil could refuse to allow Kenny’s successor as party leader to also follow him as taoiseach. That would mean another national election. This entry was posted in Northern Ireland, Politics and tagged Brexit, County Mayo, Enda Kenny, Fine Gael on May 17, 2017 by admin. Mary Robinson, Ireland’s first woman president, is developing Ireland’s first presidential library. The Mary Robinson Centre is expected to open in 2017 at her childhood home in Ballina, County Mayo, with an adjoining state-of-the-art archive and research facility. The Centre will be run as an academic partnership with National University of Ireland in Galway, as well as cooperative relationships with some of the more than 60 universities around the globe that have conferred honorary doctorates to Robinson. Digitization of Robinson’s papers from her years as president, 1990-1997 (read about functions of the office in Ireland); United Nations Commissioner for Human Rights, 1997-2002; as well as her earlier work as a barrister and member of the Irish Senate, is expected to be completed by the time the centre opens. The €8.5 million project has all but the last €1 million of funding in place. 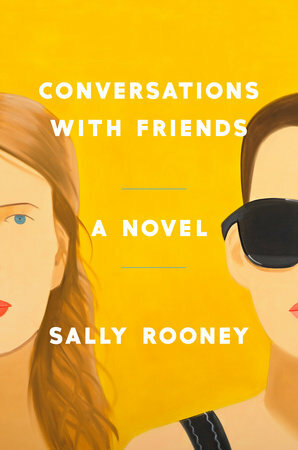 Toward that end, Robinson will be the keynote speaker at the Irish American Partnership’s annual Nollaig na mBan (Woman’s Christmas) on Jan. 6, 2016, at the University Club of Washington, D.C. Register here. The opening of the centre will be real boost to Ballina, which lies at the mouth of the River Moy and offers some of the finest salmon fishing in Ireland. The town is already home to The Jackie Clarke Collection, which includes artifacts associated with Theobald Wolfe Tone; letters from Michael Collins, Douglas Hyde, Michael Davitt and O’Donovan Rossa; plus rare books, proclamations, posters, political cartoons, pamphlets, handbills, maps, hunger strike material and personal items from leaders of the 1916 Rising. Is it possible America’s first woman president will join the international visitors who attend the grand opening of the Mary Robinson Centre? This entry was posted in Arts & Culture, History, Politics and tagged County Mayo, Irish American Partnership, Jackie Clarke Collection, Mary Robinson on November 25, 2015 by admin. I cover banking and money in my regular day job at the Washington Business Journal. That’s why these two bank-related stories in The Irish Times caught my eye. An ATM machine at the Claremorris, County Mayo, branch of Ulster Bank began pushing out more than twice as much as what customers entered into the keyboard. “The result was that an unknown number of card holders walked off with funds for a Christmas shopping spree way in excess of what they had been planning,” the Times reported. Naturally, the bank said it would trace the customers by their card and PIN identification, which is also input during the transaction. They’ll have to return the money. 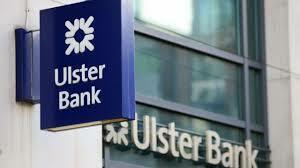 “An Ulster Bank spokeswoman said banking had changed significantly over the last few years and “more of our customers are using digital technology to bank with us where and when it is convenient for them”. It’s the same in the U.S., where big banks are pulling out of rural locations and focusing more on metropolitan areas. This entry was posted in Business & Environment and tagged County Mayo, County Offaly, Ulster Bank on December 20, 2014 by admin.